The 2018 Disney Vacation Club Members Cruise set sail Monday evening from Port Canaveral aboard the Disney Dream. In addition to the Beauty and the Beast and The Golden Mickeys: A Timeless Tribute, guests will have the opportunity to see an advanced screening of Christopher Robin. On the final evening, Disney On Broadway stars will take over the Walt Disney Theater for a Heroines and Heroes performance. 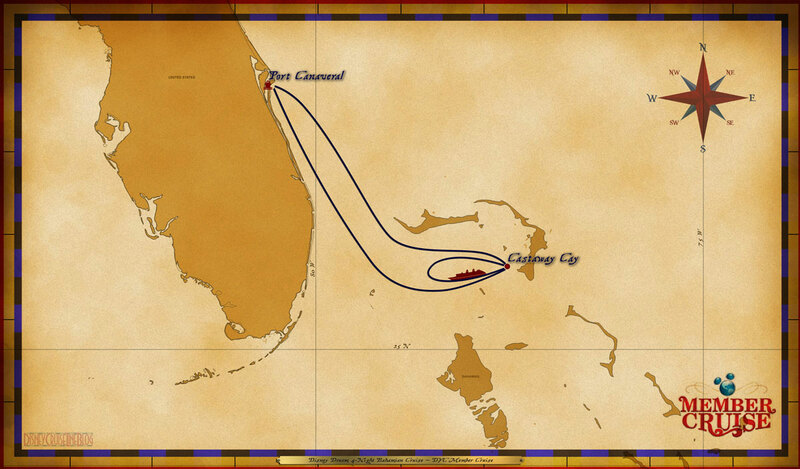 The itinerary is identical to the 2014 and 2015 DVC Members Cruises aboard the Disney Dream with a day at sea bookended by two stops at Castaway Cay. The key difference will be all the extra magic added by Disney Vacation Club. Alan Cohen, once again shared his video of the sail away party where the onboard celebrities were announced to guests. 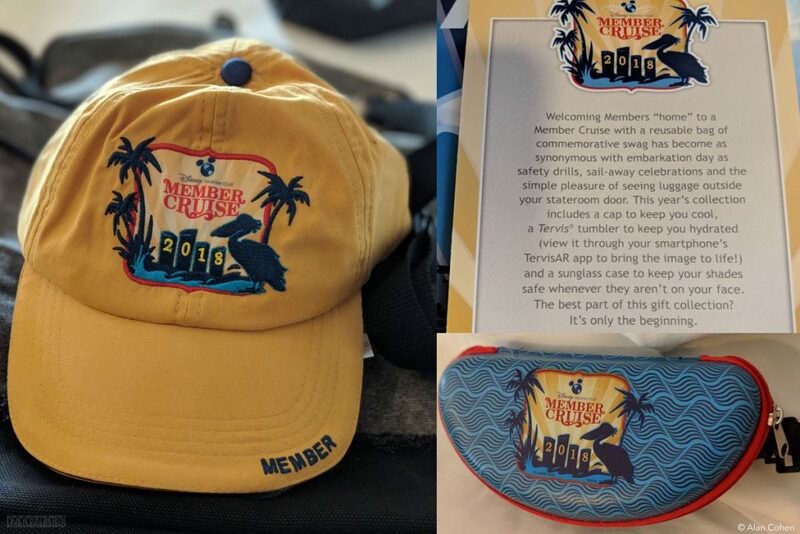 Earlier today, Alan also shared a look at the passport sized Personal Planner booklet given to guests as well as other DVC Member Cruise specific handouts. Personally, I’d love the idea of this pocket-sized booklet since I am not a fan of using the app. I think this would be great for some of the longer itineraries such as the Panama Canal and Transatlantic sailings considering it is impractical to roll out a booklet like this to all sailings. 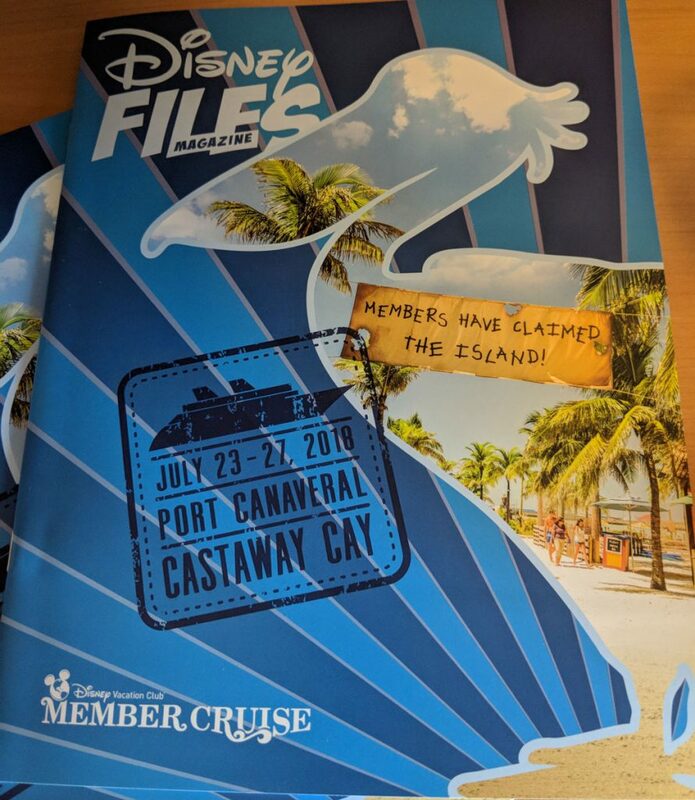 Guests also received a copy of Disney Files Magazine with a preview of the onboard special events. 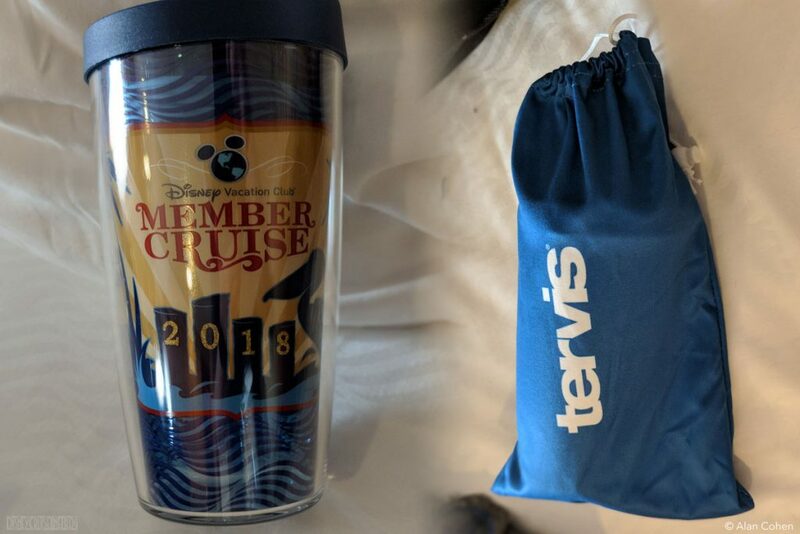 Last but not least, below are the DVC Member Cruise stateroom gifts. 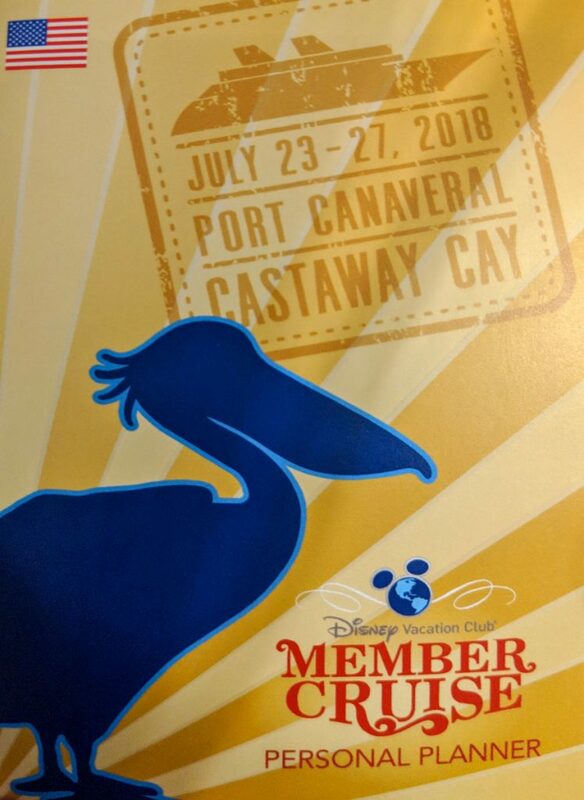 Looking over the offerings and the special guest line up, I really envious of everyone on the 2018 DVC Members Cruise. 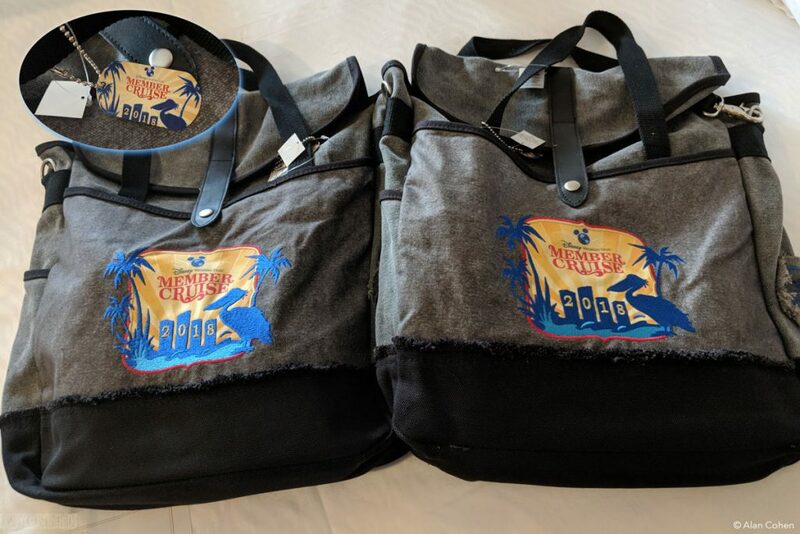 This entry was posted in News and tagged Disney Dream, Disney Vacation Club, DVC Member Cruise by Scott Sanders. Bookmark the permalink. Scott, my family and I are DVC members. This is just out of curiosity, but how much more would a 4 Night DVC cruise on the Dream cost vs a Regular 4 Night cruise on the Dream? The cost in both $ and DVC points. Gabriel, You can see the point/cash rate for the 2018 Members Cruise in this post. The cost is usually 25% more, give or take. We did it back in 2014 and had a great time. Even though we have said it has gotten to much for us, watching the video and seeing who they have, Pete Doctor and Floyd Norman alone worth the extra money (as well as Roy Patrick Disney).